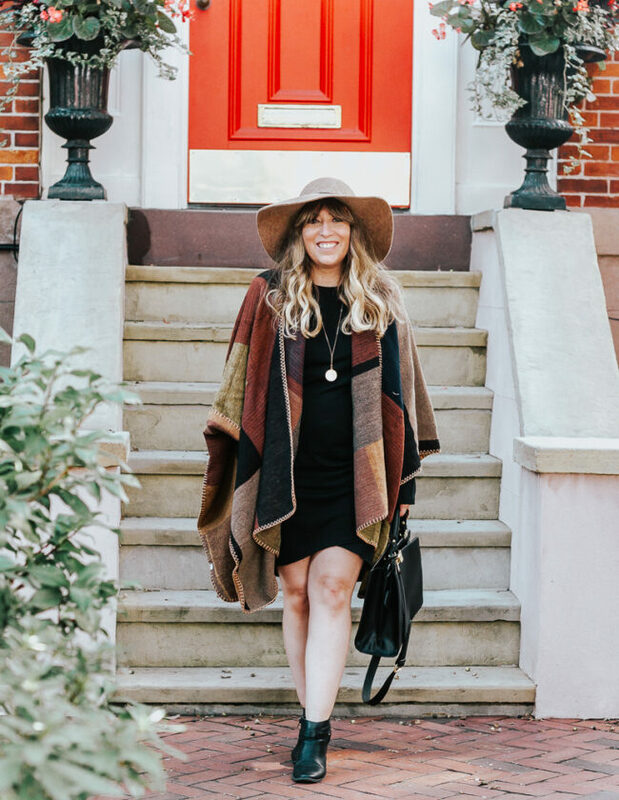 Us gals in the warmer climates have it ROUGH when it comes to dressing for the summer-to-fall transition. (Or, let’s honest, dressing for “fall” in general.) I feel like I spend 55% of my life trying to dress myself to match the seasons when it’s actually 99 degrees out. The struggle… is real. BUT I LOVE FALL FASHION. I really, really do. Cozy sweaters, blanket scarves, riding boots… they’re probably my favorite pieces and every year, I’m so excited to wear them. Even if I have to wear them indoors. I’ll do it! I DON’T CARE. Luckily my best friends are fashion bloggers and totally do the same thing. No judgments here. 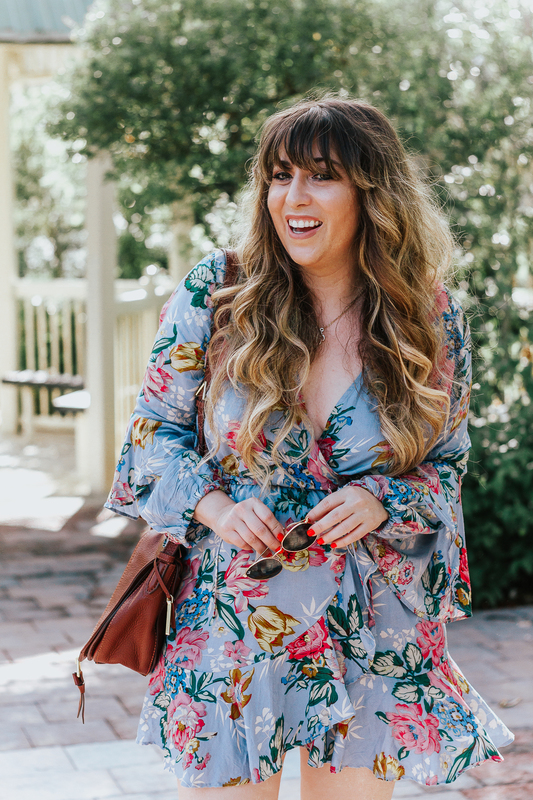 I’ve found that the easiest way to start to transition your summer wardrobe to fall is by introducing fall accessories and beauty trends into your favorite summer outfits. Often just swapping out your favorite hot pink lippie for a deep plum, adding a felt hat or throwing on leather shorts instead of denim cutoffs will transform the look! Two of my favorite fall accessories? Felt fedoras and ankle boots. These two babies hold the power the transform ANY look. Even though I’m wearing shorts and a lace top, it just FEELS like maybe I could be sipping a Pumpkin Spice Latte without sweating my makeup off, right? I scored these booties last fall, but they’re back again in a suede, which I’m NOT mad at, actually. They’re a great price point and I can’t recommend them enough. This necklace is SO good… it took me forever to actually buy it, but I spotted it on sale and couldn’t resist! 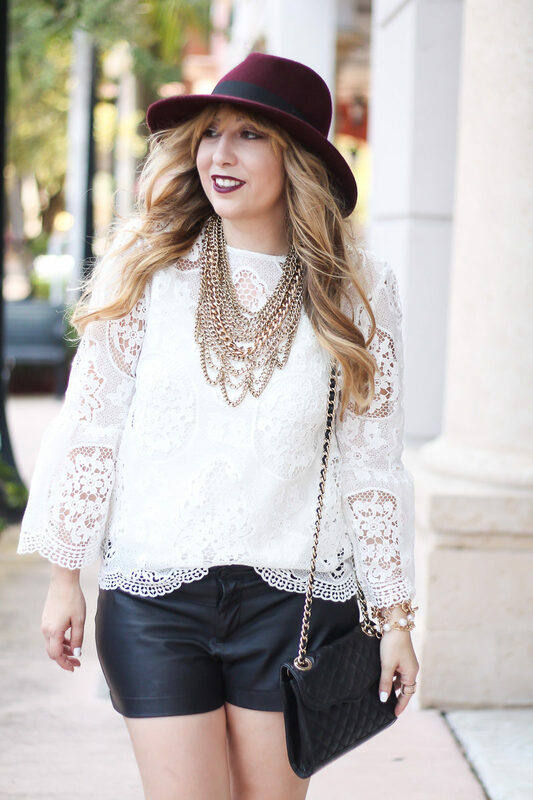 I love pairing it with something super delicate, like this lace top. (Aren’t the sleeves AMAZING??? I can’t wait to wear it with jeans and heels, or maybe pair it with a statement midi skirt!) So, it looks like everyone had the same idea that I did and scored it on sale… it’s sold out! Fear not, I actually spotted them at the Nordstrom Rack! Check them out maybe? A note on the lace top, re: sizing: I’m wearing a large! Pay close attention to the measurements. I love shopping sites like Choies, and have had nothing but good experience shopping with them. If you have questions, check out this post. Main takeaway: read reviews, pay close attention to sizing info! 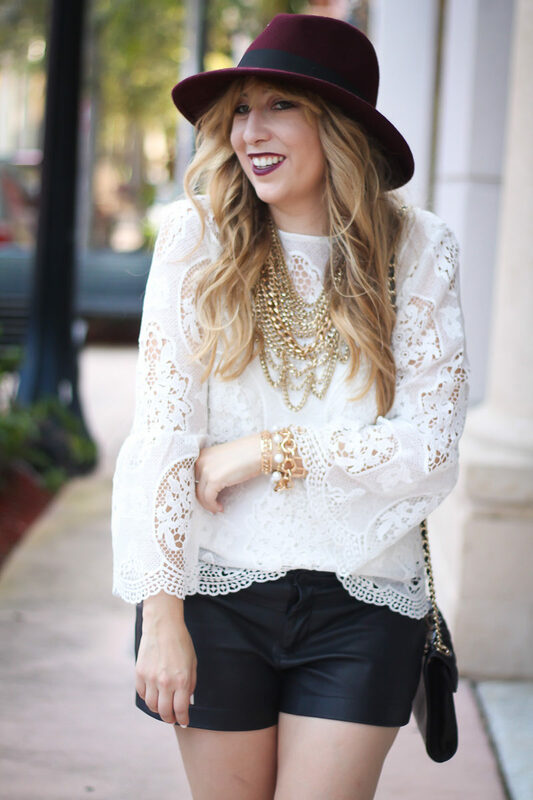 Also note, this top is totally lace… no lining! I’m wearing this cami from H&M, but any will do! I spotted this hat at Target and knew I had to have it! 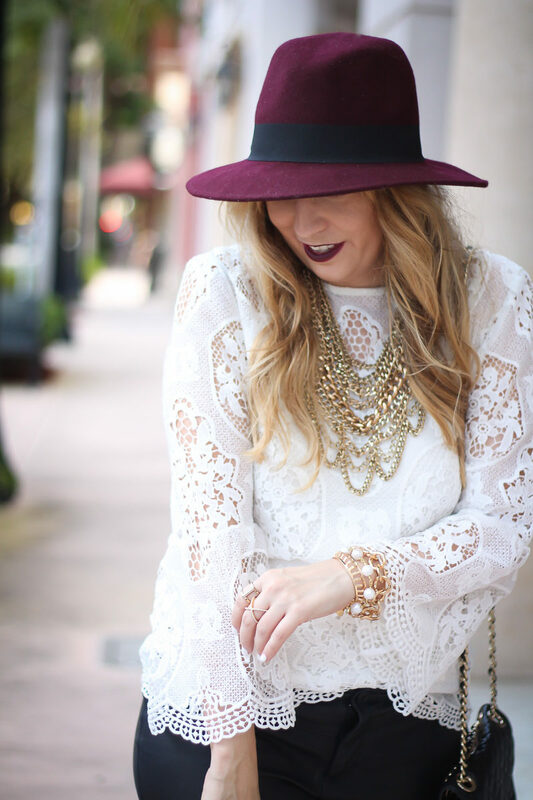 Burgundy is one of my favorite fall colors, I especially love pairing it with blush tones! How about you? How do you transition your wardrobe from summer to fall? Any tricks? I’d love to hear them! Leave ’em in the comments. Thanks for reading!